Caption: BRIDGER WILDERNESS, WYOMING. USA. 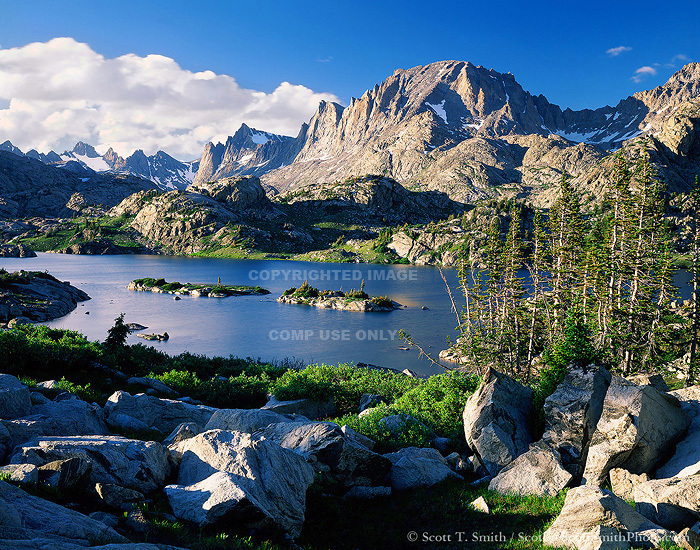 Island Lake and Fremont Peak in the Wind River Range. Bridger-Teton National Forest. Location: Wyoming. USA. Bridger Wilderness. Bridger-Teton National Forest.